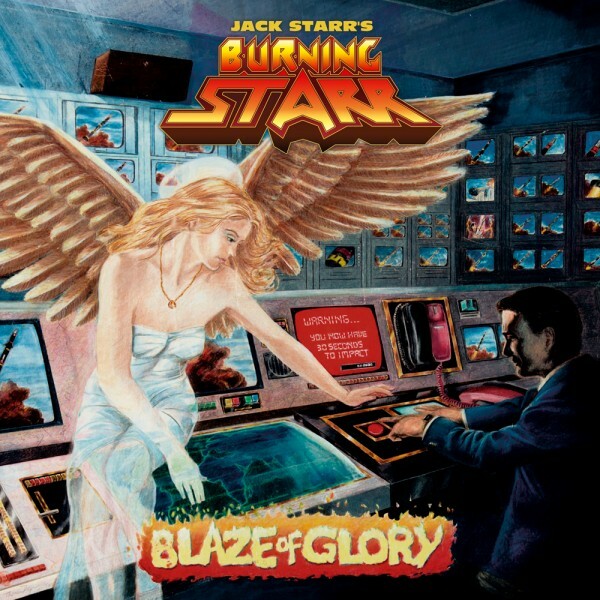 No Remorse Records presents the release of the special 30th anniversary edition of “Blaze Of Glory”, third studio album of the legendary US Power Metal act, JACK STARR’S BURNING STARR. The reissue will include thick booklet with a lot of previously unseen photos, lyrics, new liner notes, and 5 bonus tracks: 3 studio ones, and 2 live recordings. The album has been remastered by Bart Gabriel, who except producing last two BURNING STARR studio albums, recently mastered reissues of bands such as CIRITH UNGOL and SORTILEGE, as well as the new PAGAN ALTAR and CRYSTAL VIPER albums. Available as regular CD edition (limited 900 copies) and deluxe CD box set (limited to 100 hand numbered copies) including CD, exclusive t-shirt and guitar pick. JACK STARR’S BURNING STARR was formed in 1985 by founding member and guitarist of VIRGIN STEELE, Jack Starr. After releasing four albums in the ’80s – “Rock The American Way” (1985), “No Turning Back!” (1986), “Blaze Of Glory” (1987) and the self-titled one (so-called “Orange Album” from 1989), the band returned in 2009, with a new lineup featuring Starr, Ned Meloni (bass, ex-JOE LYNN TURNER), Kenny “Rhino” Earl (drums, ex-MANOWAR) and Todd Michael Hall (vocals, also in RIOT V), and released the well-received comeback album titled “Defiance”. Two years later, the band released their next studio album, “Land Of The Dead”, which was met with great reviews by critics and fans alike. In the Summer of 2017 the band released brand new album entitled “Stand Your Ground”.